It is a known fact that plants purify the air around by absorbing chemicals and toxins in the air and releasing more oxygen. Not just harmful gases, but some volatile organic compounds are also absorbed by plants. Thus, keeping plants in office will make your working environment healthier. You might have observed that you feel less stress when surrounded by plants. 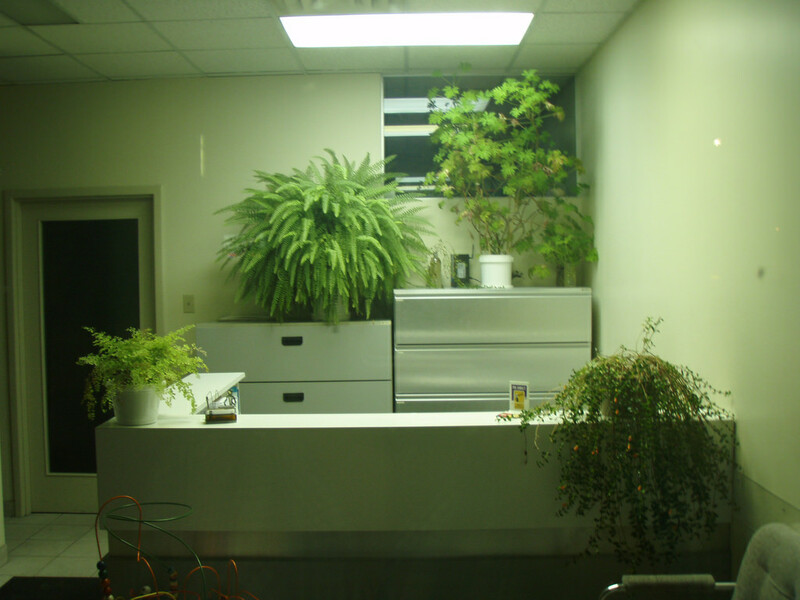 Studies have shown that green plants at workspace makes the employees feel more jovial and stress free. Plants make your attention undirected which reduces the stress levels. Plants are always a pleasing sight for the eyes. Having a few around your office will significantly improve the aesthetic value of the workplace. Moreover, you can easily get various types/shapes/colors of plants and customize the aesthetics according to your own wish. Just having plants in office can improve the attention, memory, and concentration of employees. There are many ayurvedic plants available which specifically serve this purpose and are said to benefit the mind. Plants and trees reduce noise levels by absorbing sound. By placing some on the floor or corners, you will be making your workspace quieter and noise free. This will also help employees remain more focused.